We will ensure your comfort during your visit. Dr. Perlman and his entire team are dedicated to providing you with the personalized, gentle care that you deserve. We do everything we can to help you relax and make your treatments as comfortable and pain-free as possible. Our friendly staff is always there for you — before, during and after your treatment. We’re here to answer your questions and address any of your concerns. We will make sure your visits are pleasant and efficient and will see to your every need. Dr. Perlman explains your procedure thoroughly so you know what to expect. Dr. Perlman will take every measure to ensure your periodontal treatment is anxiety-free. A majority of Dr. Perlman’s patients are quick to praise his gentle touch and his calm demeanor. He has a reassuring bedside manner and a genuine concern that his patients feel at ease. 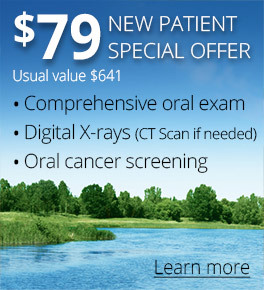 Dr. Perlman takes whatever time is needed to educate you about your condition and dental health. 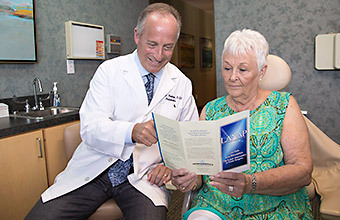 Trust and open communication are cornerstones of Dr. Perlman’s practice. He will explain all procedures so you know what to expect and can feel at ease. To make your treatment more comfortable in the chair, we provide pillows, blankets and headphones to listen to music. There are always refreshment in our reception area for you to enjoy. One of the best ways we can ensure your comfort is by using advanced technology and minimally invasive procedures. Our dental laser is a gentle surgical device used for treating moderate to severe gum disease. They are far less invasive than traditional surgical instruments as they only target diseased tissue without affecting healthy tissue, teeth and bone. We use advanced technology for comfortable and minimally invasive treatment. We use ultrasonic scalers to remove the majority of the plaque and calculus from your teeth. A thorough ultrasonic cleaning takes less time and is gentler on teeth enamel than traditional scaling instruments. 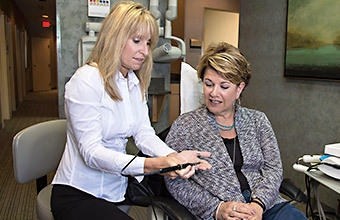 The scalers can also be adjusted for patient comfort. When Dr. Perlman needs to perform a tooth extraction, he uses a gentle approach to dislodge the tooth from the socket, with little or no destruction to the surrounding gum and bone. A topical anesthetic is first applied to numb the injection site. The injection is then delivered slowly with a computer-regulated flow of anesthesia precisely to the treatment site. Dr. Perlman always warms the anesthetic to body temperature to avoid any unpleasant sensation from the cold. For long procedures or for patients who need extra help to relax, we have several sedation options for your comfort. Dr. Perlman will let you know which one will best suit your needs. Nitrous oxide is a colorless, odorless gas that you inhale and which reduces tension and anxiety. The effects of the gas wear off quickly after you stop inhaling. To ensure a speedy recovery time, we give you pure oxygen immediately after terminating the nitrous oxide. A sedative in pill form is also available to help you relax. The sedative puts you in a twilight-like sleep where you can still respond to requests and questions from the doctor.